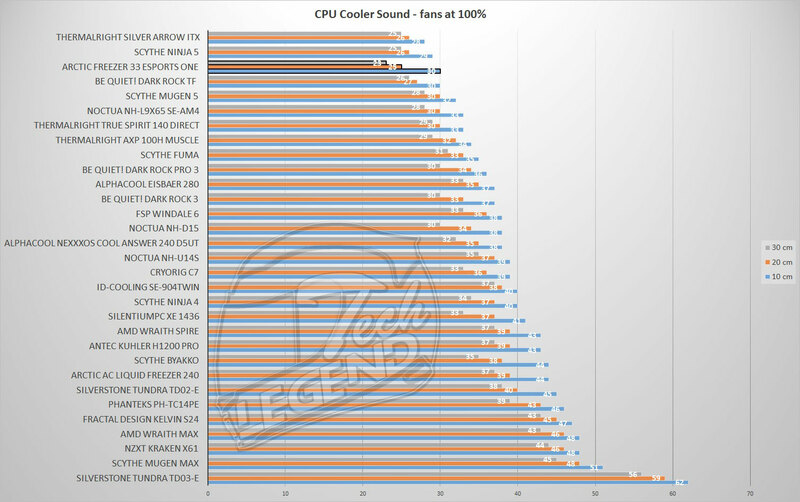 The cooler was tested with the CPU at the stock Max Boost Clock frequency of around 4.4GHz. The RAM memory was used at its default frequency of 3000MHz. The included fan(s) have been used at their maximum speed. The room temperature was approximately 26°C (78°F), with 2°C margin of error. The idle test consists of the CPU sitting idle at the desktop for 30 minutes, the temperature was measured at the end of the test. AIDA64 Extreme Version – Temperature monitoring. Each test was conducted for 40 minutes. The Freezer 33 TR is a modified version of the original Freezer 33 CPU Cooler, the most notable change is the enlarged direct contact base. 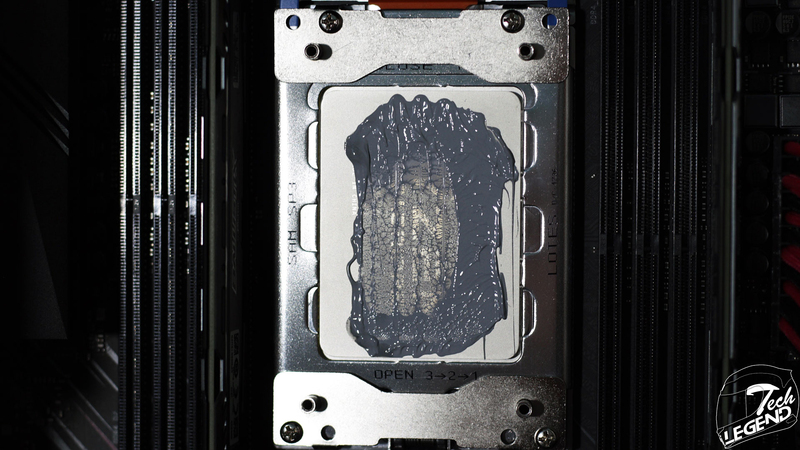 The contact of the base on the CPU is done on almost the entire surface of the ThreadRipper die, however, while the thermal compound is spread, it is not done evenly. The noise level was measured at three different distances from the fans (10cm, 20cm, 30cm.) the noise was measured with a margin of error of ± 5 db. 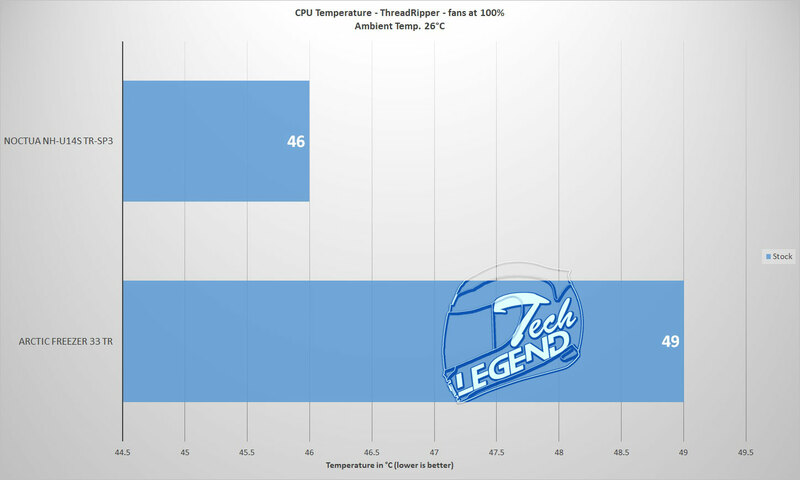 The Freezer 33 TR uses the same fan as the Freezer 33 eSports One model, so in this graph, the eSports One model is highlighted, the performance being identical between the two coolers. 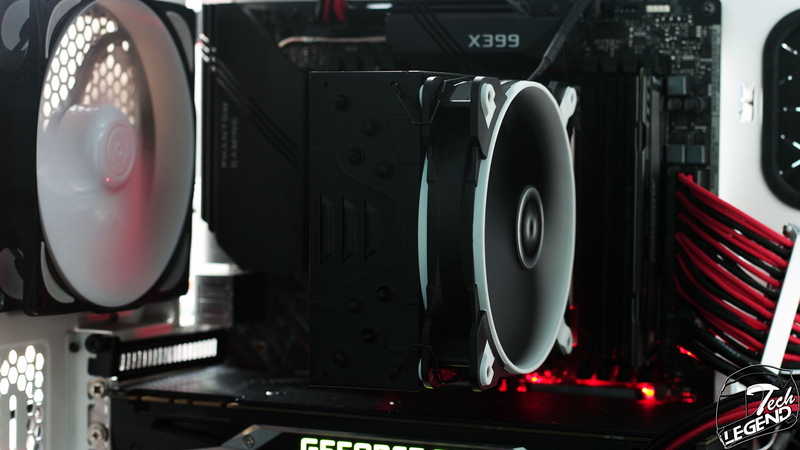 The cooler offers a good RAM compatibility due to the shape and size of the heatsink, this makes both the fan and heatsink not cover the RAM slots or the first PCIe slot. The Freezer 33 TR is a modified version of the well known Freezer 33 cooler, that uses a single 120mm BioniX fan that will spin at a maximum of 1800RPM. 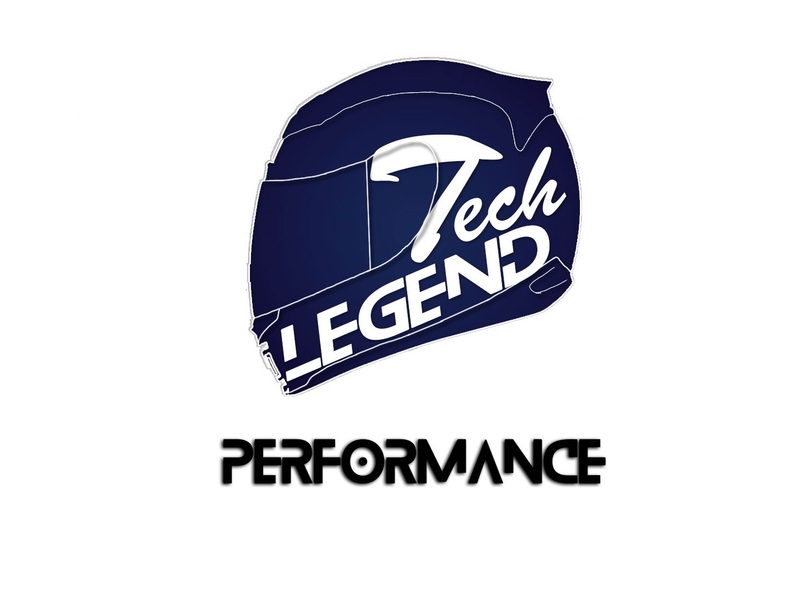 The cooler has a maximum cooling capacity of 320W, however the manufacturer recommends a CPU with a maximum TDP of 200W. The cooling performance of the Freezer 33 TR is good, the processor reaching a maximum temperature of 81 degrees Celsius with an ambient temperature of 26°C (78°F). 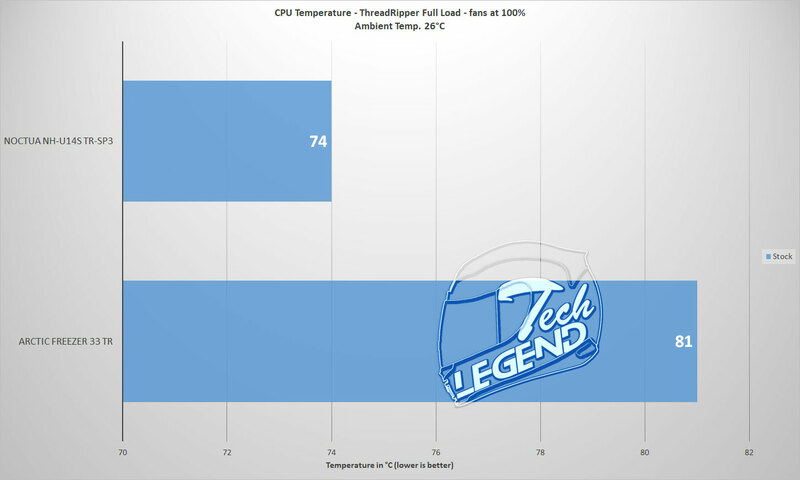 This temperature was reached using a synthetic benchmark that loads the CPU higher than any application used on a daily basis, but it does showcase the cooling performance of the cooler. 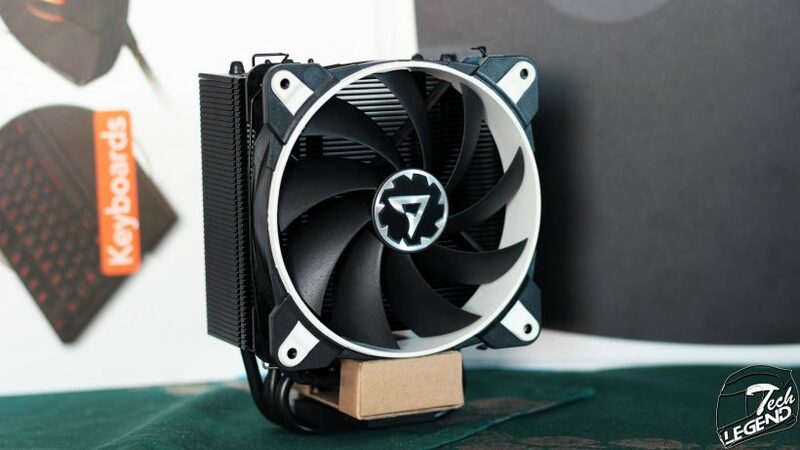 The Build quality is very good, the heatsink is completely black and has no sharp edges, the included F120 BioniX fan uses PWM to control the speed that will vary between 200RPM to 1800RPM. The fan itself can be bought separately and Arctic also included an additional set of mounting clips for a push-pull configuration. 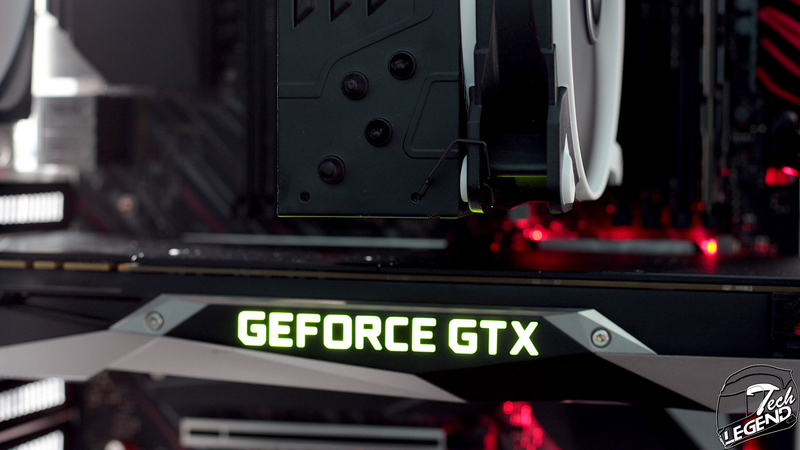 The mounting system is simple and makes use of the Thread Ripper bracket installed on the motherboard. Unfortunately, there is no physical installation guide included in the package, instead the guide is available online on the manufacturer’s website. Never the less, I was able to use the diagram on the side of the packaging to successfully install the cooler. In conclusion, the Arctic Freezer 33 TR is a reasonably priced CPU cooler that can successfully cool a 16 core / 32 thread 2950X CPU while being silent at the same time. The build quality is very good and the mounting system is solid and simple. 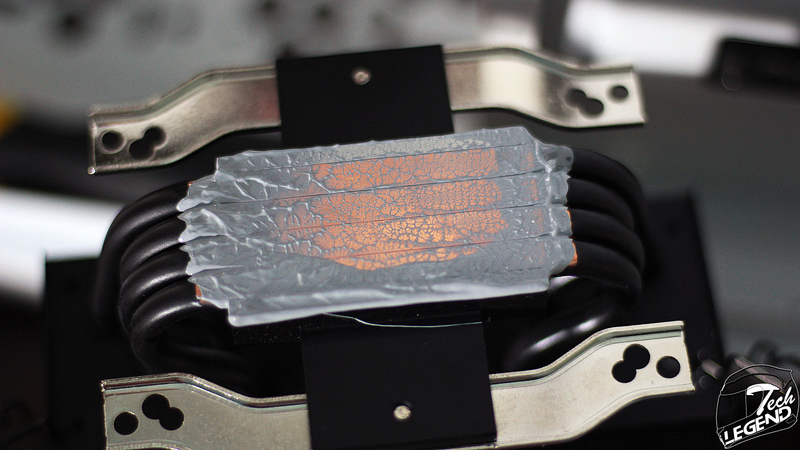 The base of the cooler offers good coverage for the Thread Ripper die, although I will recommend tightening the cooler in a cross pattern to have an even spread of the thermal compound.